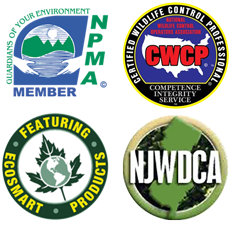 Fly Away Birdy - Pest Control Service | Tuckerton, NJ | Balance of Nature, Inc.
Geese, pigeons, seagulls and woodpeckers. These are just a few of the types of birds which can be a nuisance to homeowners or business owners. In large numbers, they can create a mess on your roof, or deter potential customers from frequenting an establishment. This is especially true of outdoor restaurants, where a flock of birds is much more unwelcome presence. Fortunately, by using one of many devices or techniques at our disposal, these bird problems can be solved effectively. One simple method is to implement antilanding devices, which as the name implies, prevents a bird from landing on a portion of a structure. 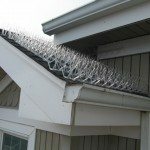 This may include installing a strip of metal spikes alongside the top of a roof, to more advanced deterrents like shock tracks or bird gel. Visual deterrents are also an effective way to deter birds. No, we aren’t talking about scarecrows (though nothing is stopping you from making one), but specialized products such as Irri-Tape. This tape is a simple and cost-effective means to keep birds away from your building. It has a reflective, holographic surface which shimmers in the sunlight. When placed on window sills, it is often enough to disorient a bird. Sometimes though, this may not be enough to completely deter birds from hovering around a certain area. In these cases, more technology driven methods may be appropriate. Sonic and ultrasonic devices may work to scare birds, or even dogs and lasers. Airports will often make use of sound cannons to scare away birds, so that aircraft taking off and landing will not fly into them. We too make use of these sound cannons to keep birds at bay. However, the type of bird control method will often depend on the type of bird, and the location and design of your structure. Nonetheless, no matter what bird problems you experience, we are always prepared to offer an effective yet affordable solution.